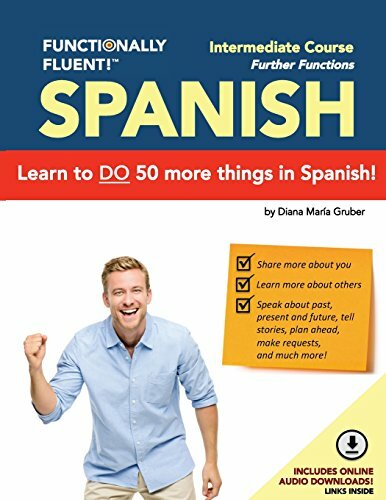 Learn to do 50 more things in Spanish with this Intermediate Spanish Course - or your money back! Functionally Fluent! is the best way to learn a new language, and the best way to learn Spanish – guaranteed. More than just a Spanish language phrasebook or conversational Spanish course, Functionally Fluent! is a full, 360-degree language learning course, which will teach you to actually become fluent in Spanish. We’ll guide you step-by-step through truly interactive exercises, so you can practice speaking Spanish in real life. We guarantee with Functionally Fluent! you'll learn to speak fluent Spanish. We’re confident this course is the best way to become fluent in Spanish. In fact, we promise with Functionally Fluent! you’ll learn more than you've ever learned before with any other foreign language course, or your money back! ¿Eres maestra o maestro de español? ¿Necesitas un curso de español como idioma extranjero para enseñarles a tus estudiantes cómo aprender español? ¡Functionally Fluent! te ayudará en cantidad! ¡Compra Functionally Fluent! hoy mismo! If you have any questions about this product by Diana M. Gruber, contact us by completing and submitting the form below. If you are looking for a specif part number, please include it with your message.